The funniest thing about making drinking water a habit is that it is initially hard to keep going. For example, before I learnt how important it is to be hydrated, I could spend days drinking too little and without even realizing it. It was in the evening, feeling my mouth a little dry and weird, that I remembered I maybe had drank half a glass of water the whole day! However, one very helpful factor I found out about is that, once you start drinking more water, you can’t stop. It’s like you were becoming more and more thirsty every hour. That is the voice of your body asking for more, and it is also the one we should listen to. It is well known that it should be compulsory to drink at least six to eight glasses of water a day, but do you know exactly why? Here are the most important benefits of water you probably didn’t know about. As you might already know, your body is about 72% water. Your skin is no exception. The right amount of water is gonna help you prevent dry skin and the formation of fine lines. This is something that no moisturizer or cream can do as fully; water acts from within, while cream and moisturizers just make minor changes on the surface. That’s true! Drinking will boost your metabolism by about 30%. Furthermore, if you are trying to lose weight, try drinking a glass or two before every meal; it will make you feel fuller, bringing you to eat a little less. Drinking will help flushing all the toxins out of your body and it keeps kidneys and bowels going without any trouble. 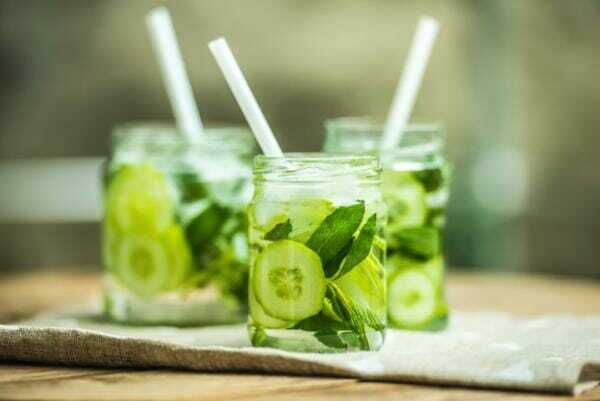 There is no need of complicated cleanses in order to get a good detox, six to eight glasses of water a day are just what the doctor orders. Most headaches and minor pains are due to dehydration. As said before, a mild dehydration is not always easy to spot. This is also why anybody experiencing a hangover will complain about headaches. Alcohol dehydrates your body even more than forgetting about drinking does! You are convinced, but you really can’t think of a way of forcing yourself to drink more water? No need to worry! I had the exact same problem at the beginning, and it just took a little effort and creativity to solve it. If water is too boring for you, go for tea or added fruits. Stay away from soft drinks packed with sugars! Try a healthy green tea or a good old slice of lemon in your glass. Always bring a little water bottle with you in your handbag. Keep a glass around you while at home. Eat water-rich vegetables and fruits such as watermelons, cucumbers, berries, lettuce.